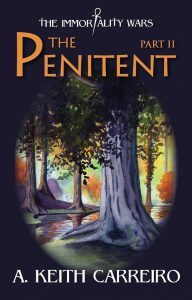 the Penitent – Part I is now available! Pall Warren lives in a world filled with unrivaled natural beauty, constant struggle and shifting perceptions of reality. 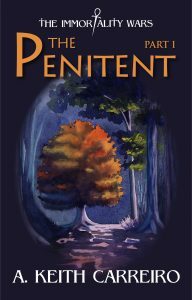 The time frame of his story is set in a medieval context. Peace over the land he lives in is an illusion only. Pall discovers that war not only must be waged against competing interests within his own land, but also against unnerving entities filled with extreme malice toward the human race. As the journey to discover who he really is unfolds, he learns that appearances are not at all what they seem to be on their surfaces. This story is about the battle between faith and disbelief, as well as how hope and cynicism clash against one another in the human spirit. Can the ultimate basis of truth be found? In Pall’s quest for meaning, can virtue be used to combat and overcome evil? 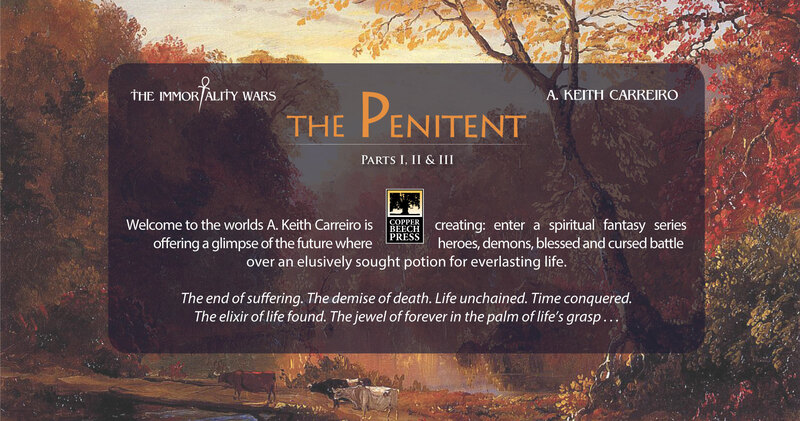 the Penitent – Part II is now available! 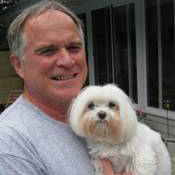 Keith lives in Swansea, Massachusetts. He has an abiding love and passion for the visual, literary and performing arts. At an early age he started playing the classical guitar and studying privately with Maestro Joseph Raposo, Sr. (Boston Conservatory of Music) until he was 17. He started writing poetry in high school. Reading, music, storytelling and movies became singular passions for him, all of which set him on a lifelong path of exploration in creativity.